All of you welcome this article and I will give you complete information about another new job. The Federal Public Service Commission has once again announced several jobs for the whole of Pakistan. Various jobs have been announced for the Senior Auditor by the Federal Public Service Commission.FPSC jobs February 2019 For Senior Auditor. 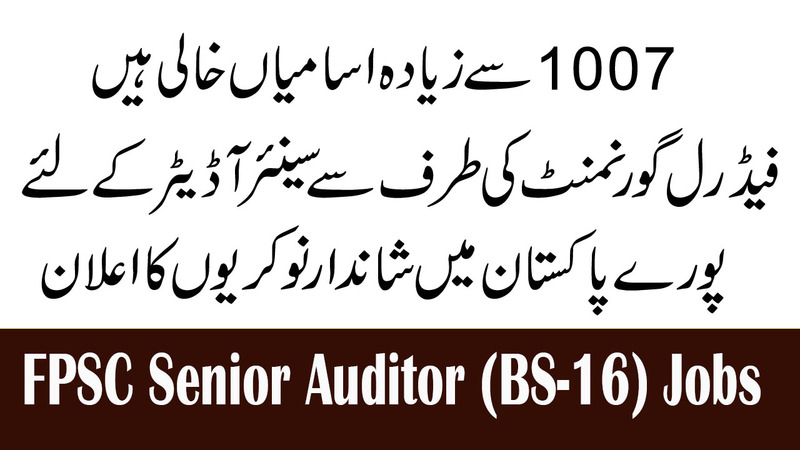 For Senior Auditor 1007 jobs have been announced for entire Pakistan in February 2019 by the Federal Public Service Commission. Career opportunity of latest Government Jobs in FPSC Federal public service commission announced jobs of senior auditors in Pakistan FPSC Jobs 2019. 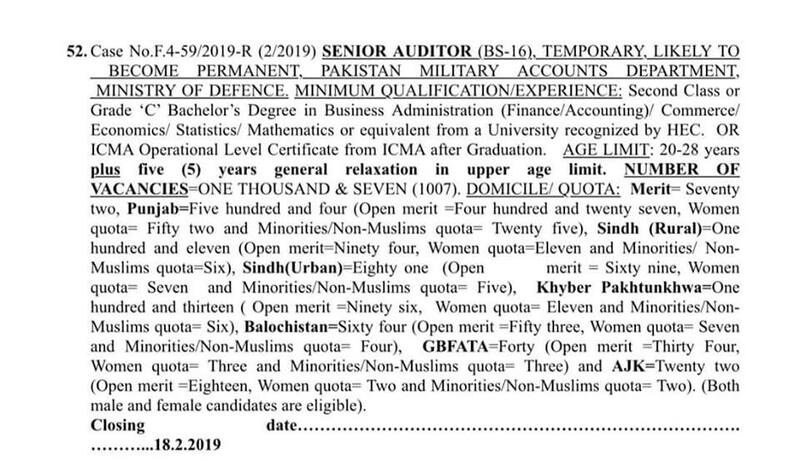 You must graduate to apply for Senior Auditor job 2019. Temporary, likely to become permanent, Pakistan Military accounts department, Ministry of Defence. After a lot of time, great jobs have been announced by the Federer government, you must apply for the job if you want government jobs. You may have any questions regarding this job so you can do comments below in this article. Bachelor Degree in Business Administration, (Finance/accounting), Commerce, Economics, Statistics, Mathematics or equivalent from a university recognized by HEC. More than 1007 jobs have been announced for the Senior Auditor by the Federal Government. 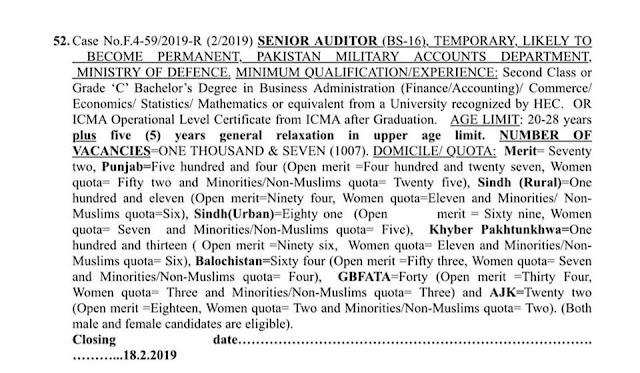 Men and women both are eligible to apply in the Senior Auditor job. 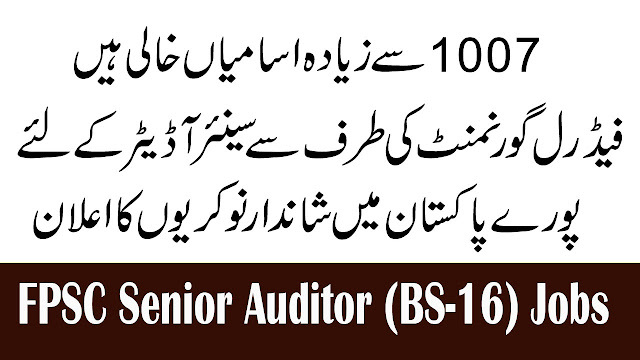 How to Apply for FPSC Senior Auditor Jobs 2019? In order to apply for this job, you will have to deposit 300 rupees in the National Bank. February 18, 2019, is the last date to online apply.